The Cwmdu Beer Festival is back with a great range of cask ales and bottled beers showcasing some 25 ales from Wales. We are still finalising the whole range of beers that we will have for tasting but the brewers selected so far offer a fantastic selection. Our festival special of 3 x 1/3 pint tasters (cask ales only) for £3.00 will return by popular demand. The Cwmdu Inn will also be open so there’s something for everyone! The days not just about fine ale but you will be able to enjoy a range of food throughout the day and a brilliant line up of musicians and bands. A family day based in the pub, it’s garden and the adjacent field their will be an area for youngsters to play and a separate tent. 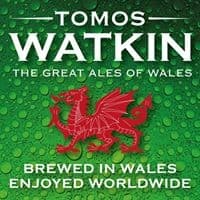 No Cwmdu event would be complete without a raffle and we are pleased to let you know that not only do we have a great selection of prizes from local sources but many of the breweries represented have provided some goodies. Important: Details are subject to change please check our website and Cwmdu Beer Festival on Facebook page for latest information. There is currently no facility for card or cheque payment so cash only please. The Cwmdu village shop and post office will be open until 4.00 p.m. where cash may be withdrawn. Dark Beacons 3.8% – Despite its wonderful deep colour this is a remarkably light and refreshing beer. Hints of toffee and coffee lurk within the aroma delivering a light, almost zesty flavour. CAMRA Champion Beer of Britain 2017. 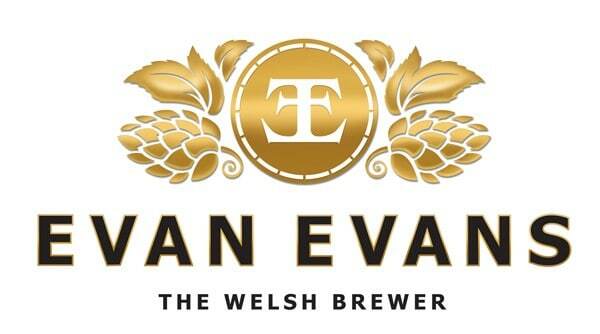 Evan Evans – Based in Llandeilo the brewery was opened in 2005 but the Buckley family can trace back over 250 years of brewing tradition. Cwrw (4.2%) – An international award winner with a rich malty flavour and a distinct fruity palate, its a great beer for any occasion. Bronze medal winner at International Brewing Awards 2011. Warrior (4.6%) – Winner of the Silver Medal at SIBA Wales and Western Section beer awards. A classic premium ale, distinctive and full bodied. Malty and fruity with a dry hop finish. A superb premium beer. Best bitter 3.8% – An easy drinking best bitter, malty with a clean hop palette. Brewed using the finest floor malted barley and traditional English hops. Gower Sunrise 4.0% – An easy drinking blonde beer, brewed with only pale malt and wheat. A fresh fuity aroma with balanced pineapple citrus taste. Infused with a combination of two classic citrusy hops—Cascade and Citra. RFA Sir Galahad 4.6% – A delicious blend of British and German malts provide a complex malt character with a rich ruby red colour. A blend of British First Gold, Pioneer, Cascade and Willamette hops provide cedar, grapefruit and floral aromas. 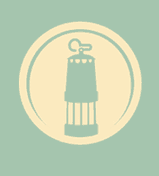 Caldey Lollipop 4.5% – Brewed with Maris Otter and Cara Gold malts to create its golden colour with a blend of German Magnum, American Mount Hood and NZ Wimera hops to produce hints of pine and grapefruit to dance on the tongue. Glamorgan Brewery – from their site in Llantrisant the team of three lead by Jamie Jones. Jemima’s Pitchfork – A refreshing, crisp pale golden beer brewed with Citra and Eldorado hops giving a brilliant undertone of citrus, pear and melon. OSB 4.5% – A rich red premium beer brewed with floor malted barley and wheat then infused with the delicious citrus flours of Willamette, Fuggle and Golding hops. Delilah 4.0% – A light golden blonde ale produced using the finest malted barley and American hops, to give a crisp, refreshing taste and zesty citrus flavours and a hint of spice. Dark Heart 5.2% – A rich dark ruby porter, delicately brewed with two British hop varieties, and with a subtle spiced edge. This beer won the 2018 Bronze Award in the SIBA National Speciality Cask Beer category as well Gold Award in 2017. Gold Beacons 4.2% – Based on an original recipe for a true Golden Ale, gentle aromas of Pioneer hops subtly give way to, yet increasing bitterness. Brewed using Maris Otter Pale Ale, CaraGold and Oat malts with Pioneer and Progress hops. 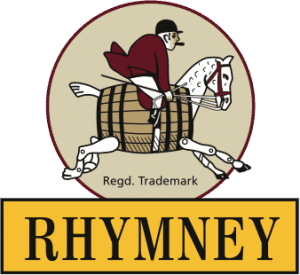 Rhymney dark 4.0% – A carefully crafted beer, hopped with a true stout uppermost in our brewers mind. Mellow yet with a ‘Bite’ that will only be fully appreciated on your second glass! Gower Gold 5.0% – Gower Gold is a thirst quenching golden ale. Brewed with Maris Otter malt and the refreshing citrus flavours and the lovely aroma of the Cascade hops. Brewed since December 2011. North Star 4.2% – Smooth malty amber ale blending herbal bitterness finishing with spicy blackcurrant and lemon aroma. Brewed using Crystal, Amber and Maris Otter malts with British First Gold and Brambling Cross Hops. Nutty 5.0% – This Traditional Nut Brown Ale is fermented with the revered Belgian Abbaye yeast producing a beautifully rounded depth in flavour. Hopped with Fuggles and Goldings it features Maris Otter and Brown malts to produce a rich full body. Harlech Castle 4.4% – An amber bitter whose rich depth of colour conceals a pleasing yet surprisingly light flavour. Maris Otter Pale Ale, Amber Wheat and Oat malts added to Bramling Cross plus Admiral hops creates a rich blackcurrant, fruity aroma. Gower Rumour 5.0% – A Strong Ruby Red ale, with amazing complex tastes and aromas, produced from a delicate mix of malts and hops. 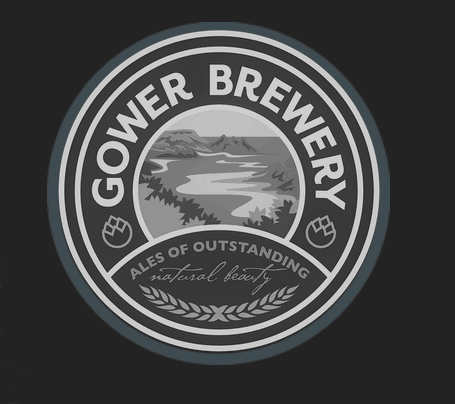 Gower Power 5.5% – Gower Power is brewed with traditional floor malted barley and packed full of a choice quality hops, to give a powerful Welsh example of a true British classic. MV Enterprise 4.0% – The Brewer’s flagship pale ale, refreshing citrusy, with spicy herbal bitterness finished with floral and zesty aroma. Brewed using traditional Maris Otter pale malt together with a blend of British First Gold and American Cascade hops. Pecker Wrecker 5.0% – Don’t let the cheeky name put you off— this ale is an easy drinker with endless fruity appeal. The finest malted barley is responsible for its rich aroma and irresistible amber hue—pour it with awe. Hobby Horse 3.8% – Originally brewed in 1879 very quickly became a thoroughbred. We hope this hand crafted ale will awaken and re-kindle your senses. Take time out for sumptuous injection and nostalgia. We would have loved to have a good range from Castle Gate Brewery of Carmarthen however, sadly, it is is closing. Since 2015 Andrew and his team have produced some real fine ales – they’ll be missed. 1pm – Llandeilo Ukuleles – this popular band from Llandeilo catch up with them at the White Hart on a Wednesday evening. Disabled Access and facilities: The Beer Festival site is a level field. If there has been recent rain then users of walking aids , wheelchairs and mobility scooters are likely to find access and passage around the field difficult. On the field there will be a toilet facility suitable for disabled access. Disabled Access Parking: there will be limited parking spaces available on the field. Please park only in the designated area. Please do not park on the road through the village. Parking: Please follow the signs to the parking areas. Please do not park on the road through the village as this causes congestion, risks impeding emergency vehicles and the passage of the large tractors and trailers making their way at this time of year. There is currently no facility for card or cheque payment so cash only please. The shop will be open for a limited time (11.30a.m. – 4 p.m.) where cash may be withdrawn.